Air Canada's recent period of sustained growth will give way to a focus on optimising its network and fleet, but the carrier will continue to target strategic expansions, such as leveraging its Airbus A220 on new routes within North America. That's according to Ferio Pugliese, senior VP regional markets and government relations. 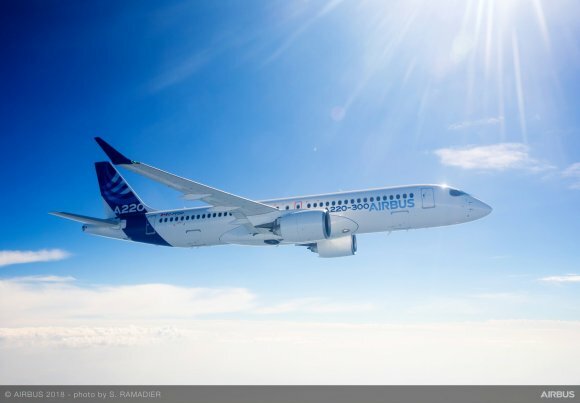 Speaking to delegates at Routes Americas 2019, Pugliese said the airline is eagerly awaiting its first A220s, slated to come later this year. "This [aircraft] will open up a whole new host of opportunities throughout North America," he says. "Much of its work will be replacement flying, but stay tuned--there will be some new flying [as well]." Air Canada has committed to 45 A220s and will use them to replace its Embraer E190s. While first deliveries are slated for late 2019, Air Canada's first A220 routes are not expected to start before January 2020. The airline has revealed little about its A220 route plans. Executives has shared notional route maps that link high-yield U.S. markets, including Chicago, Los Angeles, New York, and San Francisco, with the airline's large Canadian hubs, as well as some flying into Mexico. Bigger picture, Pugliese says that Air Canada's growth pace for the last several years will "taper slightly" as the airline prioritises "optimising our network and maximising aircraft utilisation." The introduction of new models in recent years, notably the Boeing 787 in 2014, 737 Max in 2017, and soon the A220, has allowed the carrier to introduce routes and adjust capacity in ways not possible with other equipment. Its growth in the past six years eclipsed what it accomplished in the seven prior decades, Pugliese notes. The network additions, introduction of its Rouge leisure-carrier brand, expansion of its regional partnerships, and mainline fleet changes have re-shaped the airline's operation. Those changes combined with a sustained cost-reduction program have helped the carrier complete a remarkable rally from dire financial circumstances a decade ago. "There was a lot of scepticism in the industry" about Air Canada's prospects, said Pugliese. Working for rival WestJet at the time, he admits he was among the doubters. Fast-forward a decade, and Air Canada is coming off a record year for passengers carried, hitting 50 million. Pugliese also noted another new mark the airline achieved that underscores its turnaround: Air Canada on Feb. 12 saw its share price eclipse C$32 for the first time ever.